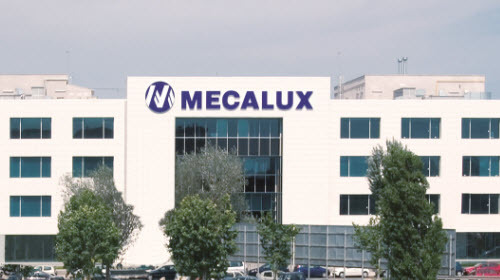 Mecalux is one of the leading companies in the storage systems market. It is specialised in the design, manufacturing, sale and services of metal racking, automated warehouses and other storage solutions. Mecalux is the leading storage company in Spain and ranks third in the world in its field, selling to more than 70 countries. The prime position of the company is based on its application of the most advanced technology in the industry, and on its extensive distribution network in Spain, France, Portugal, Italy, Germany, Slovakia, Belgium, Holland, UK, Czech Republic, Poland, Argentina, Uruguay, Peru, Brazil, Chile, Panama, Mexico, Canada, Turkey and the USA. The group has eleven production centres: in Spain (Barcelona, Gijon and Palencia), Poland (Gliwice), USA (Chicago, Sumter and Pontiac), Mexico (Tijuana and Matamoros), Brazil (Sao Paulo) and Argentina (Buenos Aires), each one strategically located to offer a fast, flexible service to their current and potential markets. Mecalux Group's growth and development is based on: the opening of new branches, the expansion of its sales distribution networks, the investment in R+D, its automated warehouse division, and the logistics portal Logismarket. Since its foundation 50 years ago, this approach has guaranteed high quality products and an excellent client service.